Why a House of Delegates bulletin? In an always connected mobile world, the notion of a “letter” to the House of Delegates (HoD) might seem rather quaint. Every topic discussed here is hashed out daily in Basecamp discussions, Facebook -- you know the drill. So, rather than comprehensively cataloging every activity, this edition aims at highlighting recent and future activities of the Society that are directly actionable by chapters and districts. What is on the horizon for helping you make a bigger impact on your communities musically, in service, in music education, and in making a difference in people’s lives? 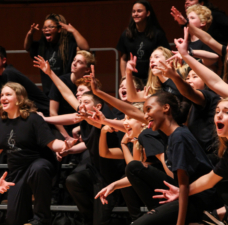 International Youth Chorus Festival will bring more than 400 singers to Midwinter, features aca-legend Deke Sharon! Although we consider membership to be a lagging indicator of health, we are glad to see that membership totals are stabilizing, although there is still a decline year over year. Additional chapter contact with all members will strengthen all-member retention. Specific attention and engagement of first- and second-year members will improve orientation and engagement, the renewals of these critical members who are still learning the subtle expectations of your local chapter/chorus and plethora of opportunities to participate in the Society’s activities. Ask those new members why they joined and what do they hope to achieve...you might be surprised and inspired by their answer. Services provided by the Society are aimed at providing the climate for growth (brand building, coalition building, and education services), which ultimately must be acted on by each chapter. As you consider this report, ask yourself: “what has my chapter or district done in the past 12 months different from the previous year?” If the answer is “very little,” then consider this report as your challenge to grab onto the many resources available. Look around the room at the House of Delegates meeting. It is staffed with district officers waiting and ready to help. Ask! 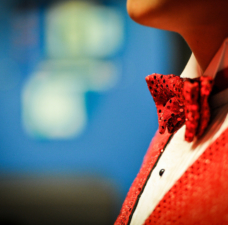 More recognition for younger singers and no minimum age are the heart of this year’s event. No more asking “can I sing in the college contest if I’m in high school?” or “do I have to be enrolled this semester?” Additional qualifying events will be available at midwinter convention and by way of video qualifications. 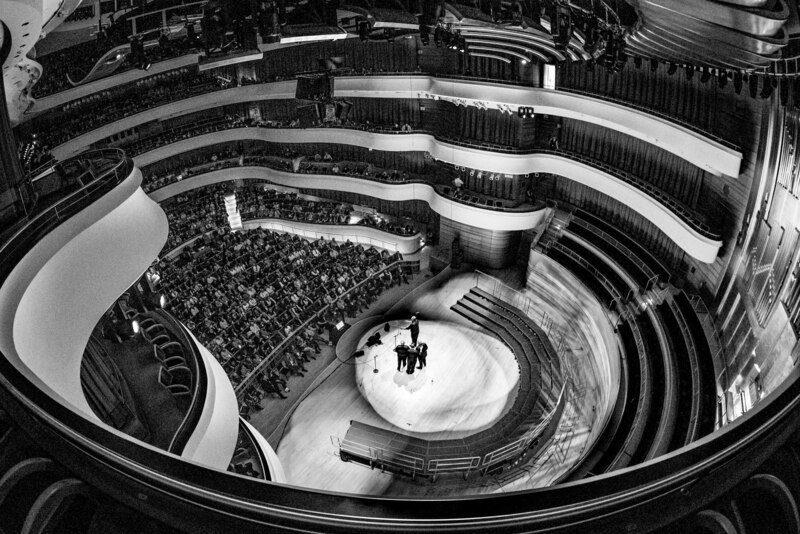 Quartets may sing in youth championship or international open quartet contest, but not both. A refreshed look and more accurate name are intended to be more welcoming to all singers. do Contact other youth quartets in your area and generate opportunities to involve them at your chapter meetings and/or on your chapter shows. Feature them, if they are available, at your next community performance. Seek out ways to assist the development of new quartets, without the pressing obligation to join the chapter. If you provide a fun experience, they will return. 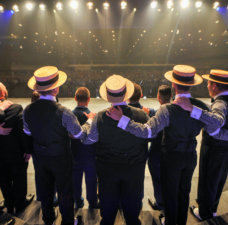 do Contact music educators already in our barbershop circles, and encourage use of barbershop in concert settings, solo & ensemble and the Youth Barbershop Quartet Contest. Godfather of modern a cappella Deke Sharon (Pitch Perfect, The Sing-Off) will conduct special workshops and emcee the International Youth Chorus Festival at the midwinter convention in Reno. This is a huge endorsement, and can be a drawing point for groups on the edge of committing. do A few slots are still open! Send a music educator or key influencer to Reno to see what the event is all about -- with an aim of getting further participation in future years. 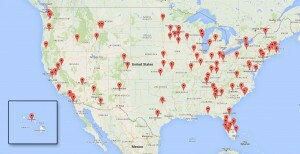 Chapters can even consider what they might do to help sponsor and develop a Youth Chorus from your area. do The All-Chapter Chorus was a hit, and we’re doing it again! Details coming soon. 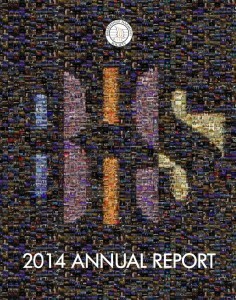 With more than 700 people from 16 nations, this was our biggest Harmony University in history! A generous scholarship program helped build key segments who will transform our Society in the future, including 84 music educators (58 on BHS scholarship,) 163 directors (60 on BHS scholarship,) and 45 boys and 31 girls in youth choruses, all receiving BHS Scholarships. Invest in your chapter’s future success by 2016 budgeting for chapters to include scholarships for directors, quartet singers, youth and local teachers. Include outreach activities in 2016 planning for chapters and districts. Apply now! The health of a chapter often revolves around the strength of its musical leadership. 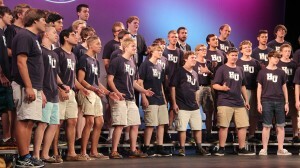 Has your chorus director attended Harmony University in recent years? The Outstanding In Front video series on YouTube (bit.ly/outstandinginfront) offers high-quality instruction for directors and music teams. The Society has drastically expanded its outreach with the American Choral Directors Association in two directions. Headliner appearances (CROSSROADS!) at the national convention and endorsement by ACDA leadership establish the legitimacy of barbershop as an important choral art form. Heavy traffic at the booth led directly to 22 music educators attending Harmony University on scholarship. 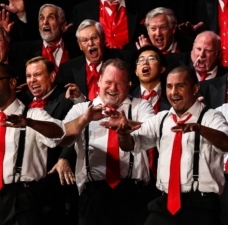 The downline impacts: more choral directors today interested in directing local chapters; AND more barbershop in the classroom to create future singers and directors. Additionally, the 80 BHS directors attending Harmony University on scholarship through Harmony Foundation International are making a real difference in their chapters’ musical experience every week. A stalwart of chapter music programs for four decades has a worthy new buddy. 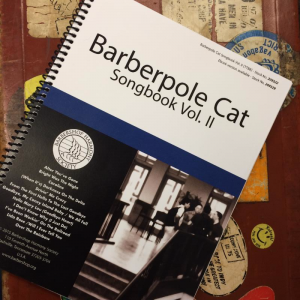 The Barberpole Cat Songbook Volume II was released at the international convention in Pittsburgh and quickly sold out -- more than 5300 units to date! The songs are a little more challenging, which provides a nice stepping stone for all of us who’ve about worn out the original dozen. Incorporate Polecat II into weekly meeting nights as the “advanced” learn to sing skills to continue to build on the Polecat I basics. 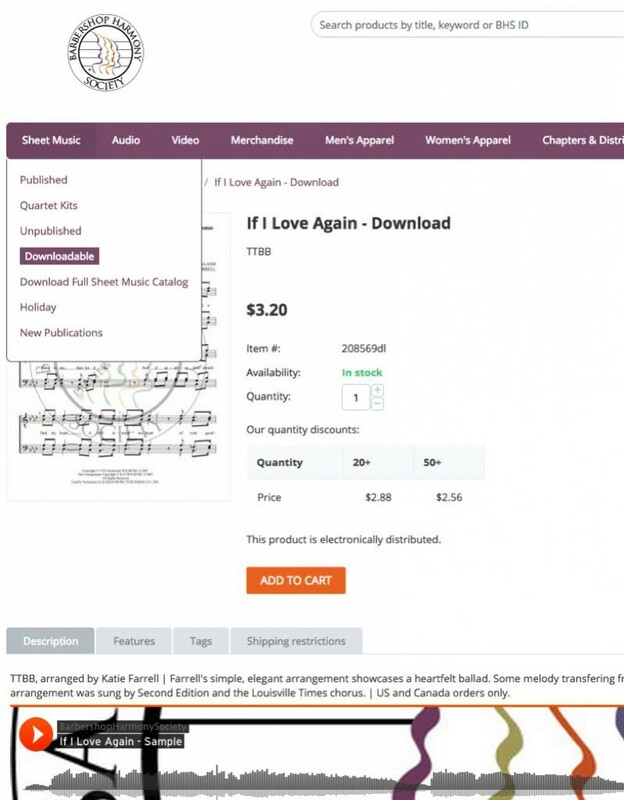 Make use of downloadables when offering assistance to music programs -- they are an easy way to get music in the hands of more singers. Set up chapter credit cards for direct billing and local refunds, eliminating the extra step for the Chapter Treasurer waiting to balance the HQ bill in this area. These have been the specific “marching orders” of our Chapters to our District and Society Leadership: “Help us do better at these things, so that we can thrive and grow.” Building on the Chapter Visitation Program and these “marching orders,” the Society has begun a focused effort to carry out a multi-­year pilot of a Healthy Chapter Initiative for strengthening the overall health of the communities of artists that comprise the BHS chapter/community structure. The Society has hired its first Manager of Chapter Leadership Education, reporting to and supported by the Dean of Harmony University. Through this effort, the Manager of Chapter Leadership Education will learn from its grassroots leaders what tools and resources would be most useful in maintaining chapter health; will rapidly develop and efficiently deploy those tools and resources (in concert with District leadership); and chapters and their members will recognize the value added by the Society to their communities and individual experiences as artists. The Healthy Chapter Initiative is possible through a generous Harmony Foundation International grant of $160,000. The Leadership Development OPT has made tremendous headway in some core activities around available curriculum, organization of online materials, planning for district leadership training, and assistance for chapter leaders. At Harmony University, they've rolled out a trial leadership framework called Think! in 2014 that looks at the chapter holistically to identify and align identity, products and operations. They've also begun to integrate with other Harmony University colleges to offer consistently branded leadership training opportunities. These Society volunteers will be working with the Districts to develop trained facilitators (similar to our certified judging program) during our 2016 Leadership Forum which is moving to the weekend before Harmony University. A plan will be developed with the District leadership teams to begin the curriculum rollout across the Society. Training the volunteer chapter leaders is all about the “combination” of available resources and ideas meeting up with your individual chapter expectations, needs, and willingness to involve all the members in reaching chapter goals. Coming soon will be a proposed model for a chapter assessment model and a plan for identifying and training new leadership facilitators. These topics and more will be covered in the upcoming Leadership Forum in November. Want to solidify your chapter’s ties to your local community? Develop fundraising connections? Acquire new opportunities for gigs and menus? 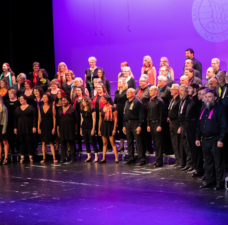 Be willing to consider and accept some new thoughts about “giving to the community” and potentially reaching new community audiences and singing organizations alike? Consider adding community members to your chapter board of directors. The Open Board Pilot Program allows chapters to include non-BHS members on their boards of directors during the 2015 and 2016 calendar years. Chapters with a board size of more than seven will be able to include up to two such community board members; all other chapters will be able to include one non-Barbershopper. Several chapters have already extended Board status to non-members and are seeing positive results. One led directly to creating a quick and easy fundraising activity that yielded a quick thousand dollars. do Discuss with your board the benefits of looking out the window for brainpower and expertise in your community. What is working and benefiting your organization? What isn’t working to help your organization? A brief chapter leadership and subsidiary leadership survey is coming in mid-October, to continue the ongoing proactive assessment of your chapter and subsidiary needs. Details forthcoming.